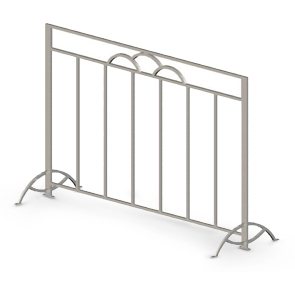 The Summerfield Series Bike Rack beautifies the streets with its sleek lines and gentle curves and provides and inviting place for your visitors to park their bikes. Prevent theft by utilizing the pre-drilled holes to mount to a flat surface such as concrete. Solid steel commercial grade construction will provide many years of service.